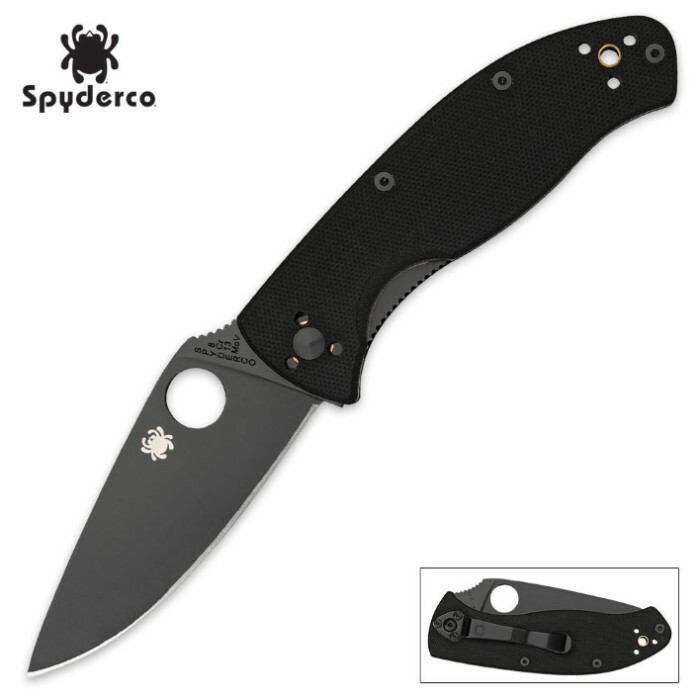 Spyderco Tenacious Linerlock Black Folding Knife | BUDK.com - Knives & Swords At The Lowest Prices! The Spyderco Tenacious knife is just that: one persistent, hard-working knife! The 8Cr13MoV stainless blade is full-flat ground for full cutting potential with a non-reflective black finish. The black G-10 laminate handle is ergonomically designed so you won't tire before your knife does. The steel Walker Linerlock inside the handle features jimping and provides power without added weight or bulkiness. This knife includes a Spyderco Round Hole, a lanyard hole and a reversible black-coated stainless steel pocket clip.